As you get ready to head back to school, with the unfamiliar hallways or new faces, backpacks full and hearts pounding, take a moment to breathe. The return to school, even if you're in the same place with the same friends, can be a combination of excitement and nervousness, which can feel the same in our bodies. At the close of each therapy group, we send you home with a mantra. 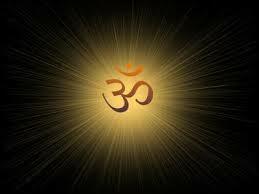 The word mantra comes from the Sanskrit word "Mantrana" means suggestion or advice. Mantras can be a simple sound (think "Om" like in yoga), or a collection of words. Mantras help us focus our awareness inward, bringing peace and soothing when we feel overwhelmed. You can use a mantra out loud, in your head, or written on a piece of paper that you keep in your back pocket to help center yourself, slow your heart rate and reenter the school world from a calmer place. Here are some of our favorites. Find one that fits for you and try it out as you head into fall. And don't forget to breathe.